Professor of Music Laurie Stras has been working on a programme for a special BBC3 event: Next Sunday is International Women’s Day, and BBC Radio 3 is marking the occasion with a weekend of programmes celebrating female composers, including live concerts and discussion panels, documentaries and debate. I’m taking part along with one of my Southampton colleagues. First, on Saturday March 7 (09:00-12:15), Professor David Owen Norris will join Andrew McGregor on CD Review for the regular Building a Library feature, focussing on Clara Schumann’s Piano Trio. 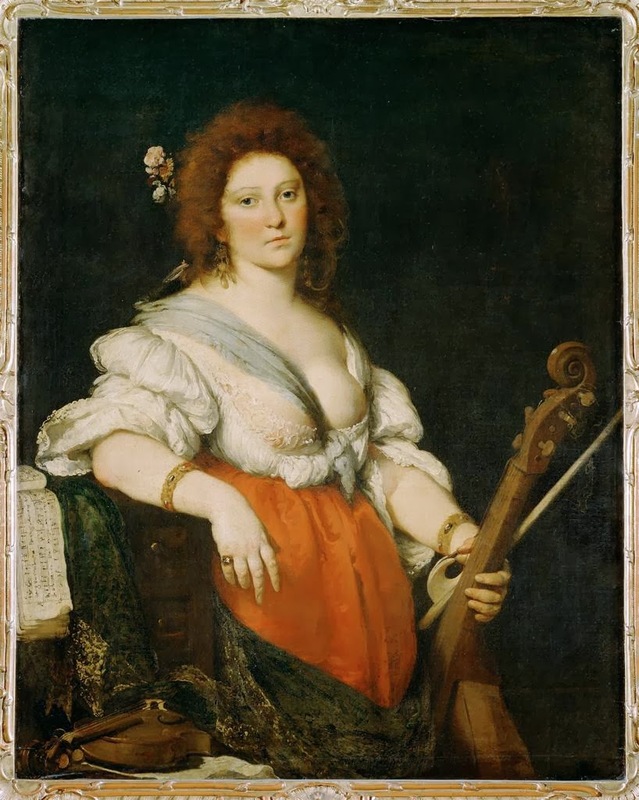 Then on Sunday March 8 (14:00-15:00), I will be in conversation with Lucie Skeaping on the Early Music Show, exploring the life and works of the Baroque singer and composer, Barbara Strozzi. 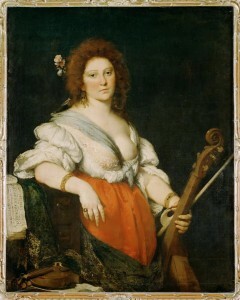 Like many female singers in 17th-century Venice, she wrote music for herself and for others to sing, but unlike most of her comparators, Strozzi published her music: in fact, she published more cantatas than any other 17th-century composer, male or female. 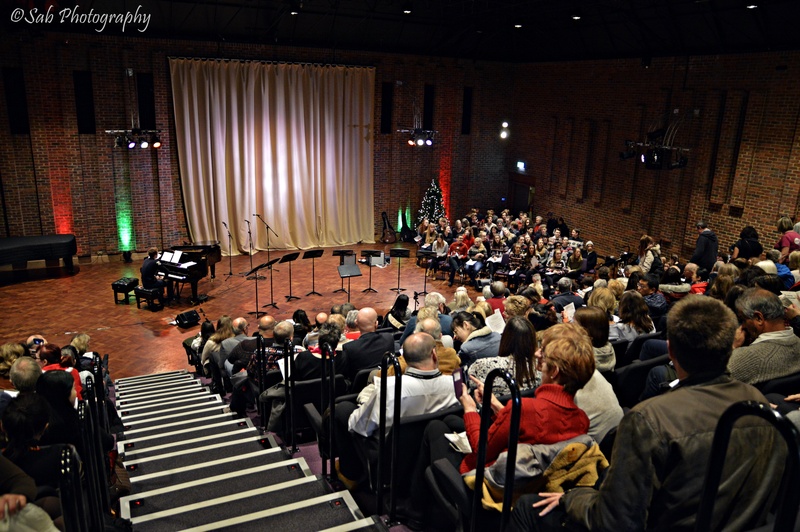 To put together the programme, I had to listen to as many CDs of Strozzi’s music as the BBC could provide and choose around 45 minutes of music – not such a hardship, I assure you! I even got a chance to trip down memory lane, as I was able to use tracks from my very first music editing job, the Consort of Musicke’s Concerto delle donne recording from 1986, and my own ensemble’s Strozzi recording from ten years later. But there are so many wonderful new recordings, too. Even though her music is very familiar to me, I was left with several enchanting earworms, particularly from the eclectic group Constantinople, who mix Baroque instruments with sitar and percussion. Over email, Lucie and I worked out a series of questions that formed the basis of our conversation, and then I went up to Broadcasting House in London to record the show. Although I’ve done reviews and interviews for radio many times before, this was the first time I’ve been involved in constructing an entire programme, so the recording was both special and a little nerve-wracking! 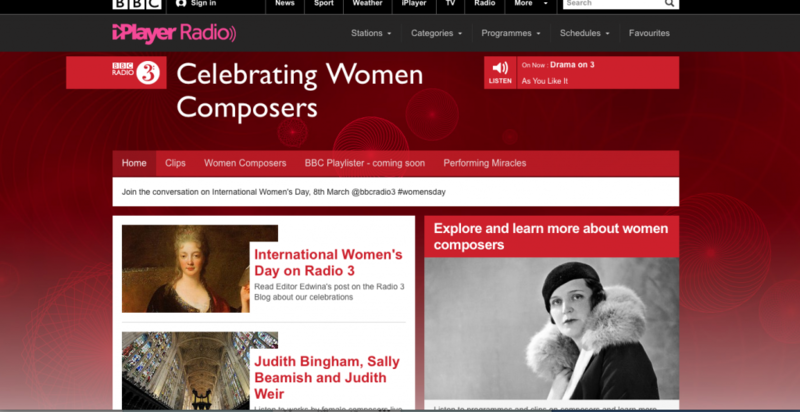 I am particularly pleased that the BBC are concentrating so much energy and effort into highlighting female composers – not just over this weekend. 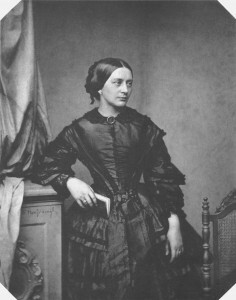 The BBC website is now hosting a dedicated section, “Celebrating Women Composers” that will be in place long after the weekend is over, which will be a wonderful teaching resource for me and my colleagues. Although there is no shortage of female students that want to compose at undergraduate level, nationally and internationally more can be done to encourage women to continue composing (and conducting). We hope soon that we will be able to offer a bursary for a female student to pursue composition at a postgraduate level – stay tuned for more news on this front! A short preview of our broadcast is already available, as well as the full weekend’s programme – and the hashtag is #womensday @bbcradio3.